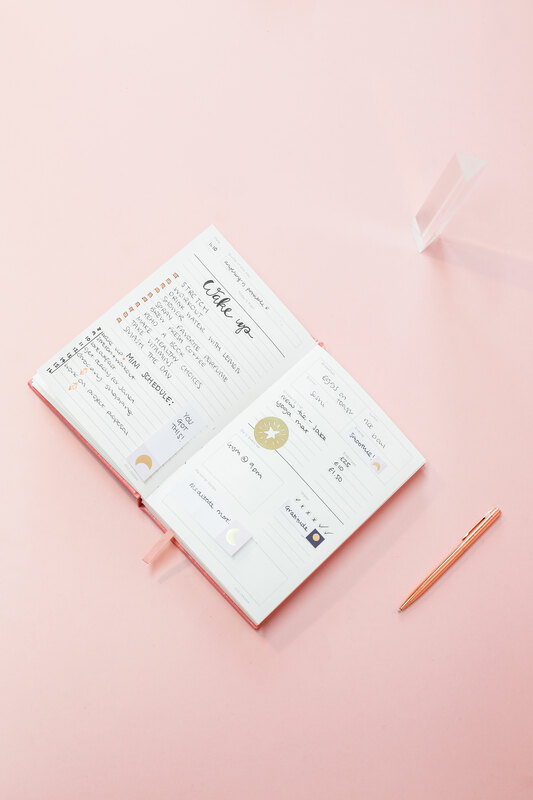 Writing in a daily planner will not only make you more productive, but it will also help you organize your life and stay on track when things get busy. 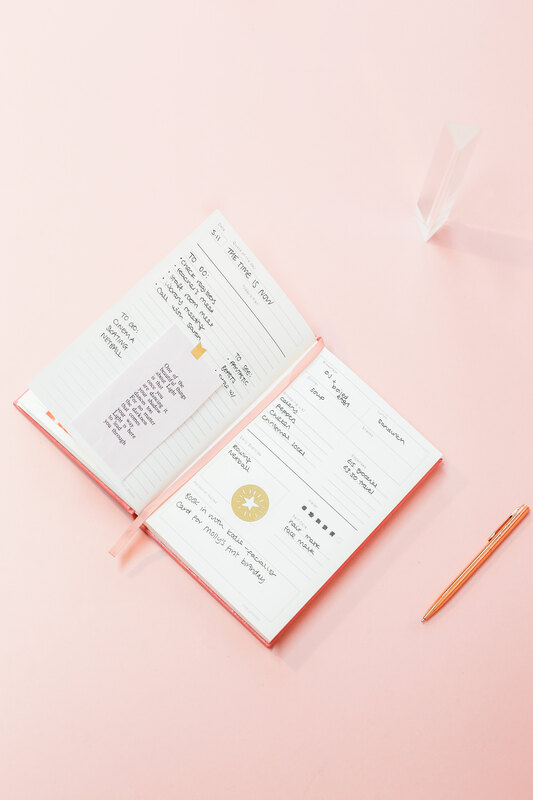 The Getting Stuff Done planner is the perfect daily planner as it contains space for both your to-dos and notes and a section for tracking your self-care. Writing in it daily will help you stay on top of all your to-dos, goals, and notes while making sure you take care of yourself. Is there anything more motivating than an inspiring quote? As you go about your daily plan, remind yourself with a quote of the day. You can print this out and stick it in your planner so that when you open it, you’ve got a reminder to keep going and smash your goals. Of course, the Getting Stuff Done planner allows you to start the day off with a quote of the day, which you should if you want to set the tone for the day. But by including colorful and motivating quotes that speak to you, you’ll have something visual to remind you of your mood for the day and keep you on track. You can choose to make your daily plan all about you. 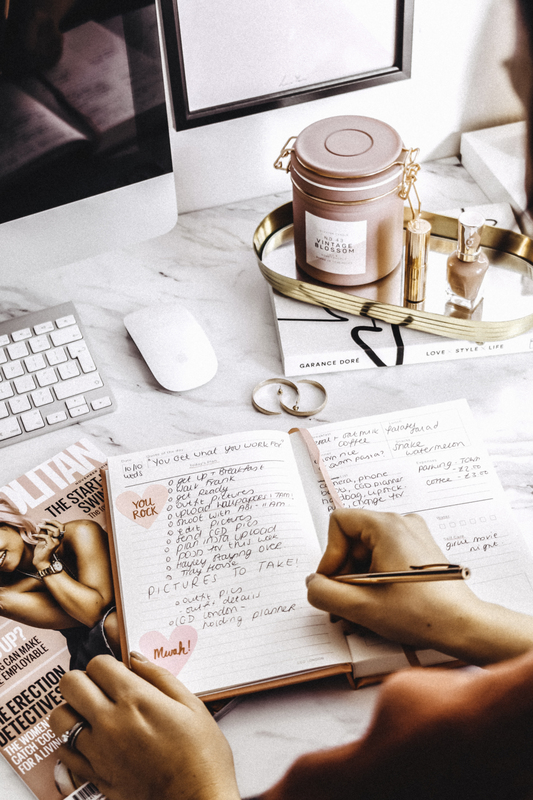 Start by writing your rituals for the day in the Getting Stuff Done planner, create a list of things you’ll do as soon as you wake up for example, or make a list of rituals you need to include every single day. The beauty of this is that you can track your performance on the right-hand side by ticking off your water intake, exercise, and the meals you’ve eaten. Setting your intentions for the day and making a list of the things you’d like to do for yourself will remind you to take time out for yourself. Maybe you’ve found that you need a system to get stuff done. Draw out a table or use checkboxes to make sure you’re only focusing on the important things. 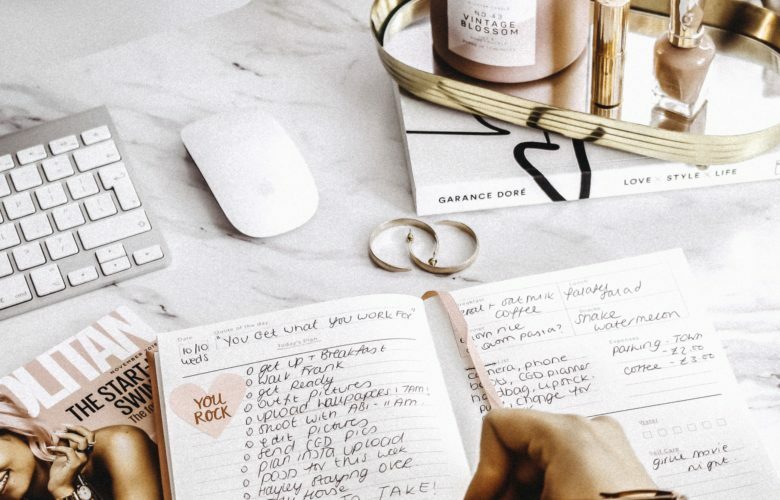 Funnel all your to-dos down into only the essential items you need to get done that day and add them to your page in a striking way. You can then use the rest of the page to remind you of other things, add post-it notes for reminders, and have a system that works for you. If you struggle to stay productive, try a few different to-do list techniques and use the Getting Stuff Done to execute them. You’ll find one that suits you and helps you smash the day. 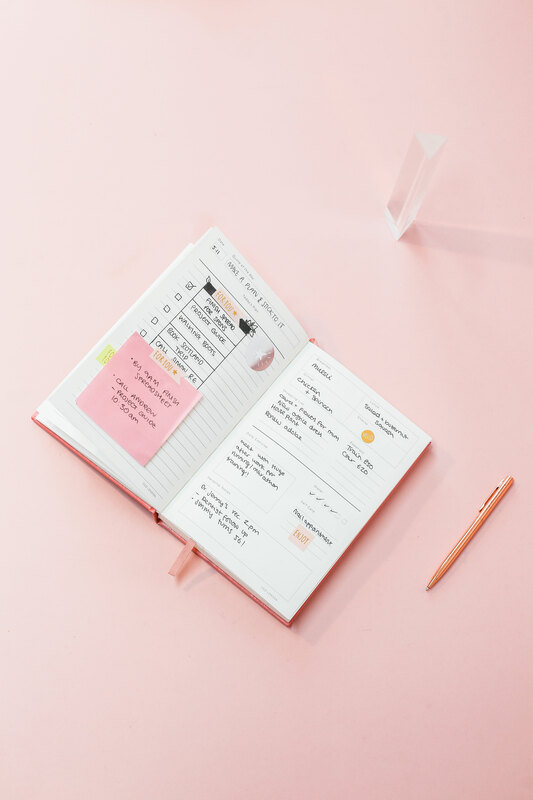 Adding photos to your planner will help you a boost of motivation, remind you of your memories for the day and give you something to look at when you’re working through your day. 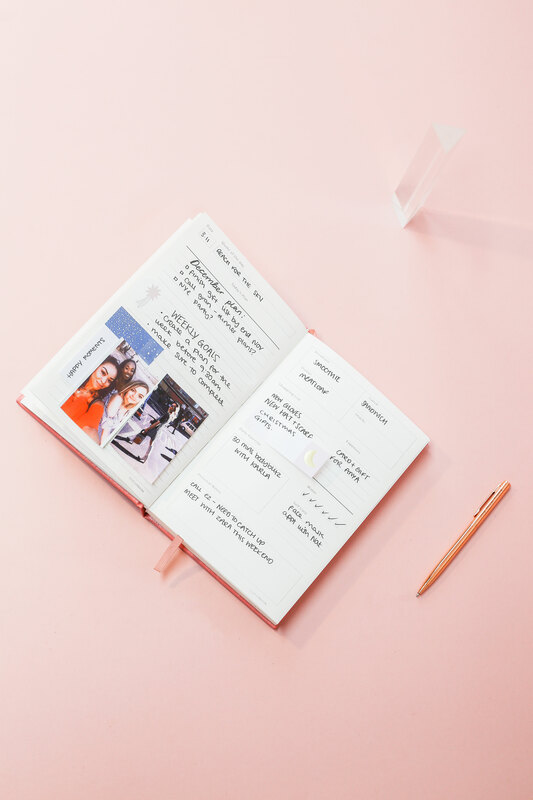 You can capture a memory of a specific day if you’d like to use your Getting Stuff Done planner as a journal, or add in a photo that inspires you and motivates you. Adding visuals to your planner will make the page stand out, making you more likely to stay on track and stay inspired when you open the page. 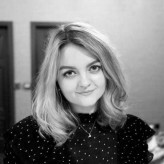 Get creative with this, you can use photos of yourself and your friends and family, or create a mini vision board by sticking in photos that inspire you to smash your goals.